The Boy – Michael Shanks, a multi-Michael website, for gen, het or slash fanfiction about any character Michael Shanks has portrayed, was imported to the Archive of Our Own (AO3) in 2018. Read (or edit!) The Boy Fanfiction Archive page on Fanlore! Dana Knight, aka Judith Freudenthal, was active in many fandoms, especially Forever Knight. Judy was taken from us on May 2nd, 2004, and for many years alice_ttlg hosted a memorial website on behalf of her family. Open Doors and alice_ttlg set up a memorial account on AO3 and a Fanlore page, so that the fan fiction she so loved to create will go on. Please share your memories of Dana Knight on her Fanlore page. Firefly’s Glow, an archive for Firefly fanfiction, is being imported to the Archive of Our Own (AO3). For more information about the move to the AO3, please see the announcement post. This import was completed in May 2018. Read (or edit!) 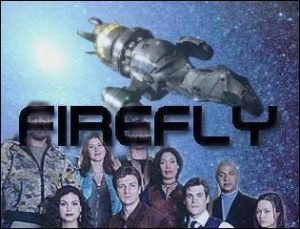 the Firefly’s Glow page on Fanlore! Pretty Lights, a multifandom actor RPF archive, is being imported to the Archive of Our Own (AO3). The import was completed in September 2018. Read (or edit!) the Pretty Lights page on Fanlore! TürkFanfiction.Net, a Turkish-language multi-fandom fanfiction and original fiction archive, is being imported to the Archive of Our Own (AO3). For more information about the move to the AO3, please see the announcement post. The import was completed in March 2017. Read (or edit!) the TürkFanfiction.Net page on Fanlore! Sinful Desire, Wincest and J2 Supernatural archive is being imported to the Archive of Our Own (AO3). For more information about the 2016 move to the AO3, please see the announcement post, Sinful Desire is Coming to the AO3. The import was completed in December 2016. Read (or edit!) the Sinful Desire page on Fanlore!